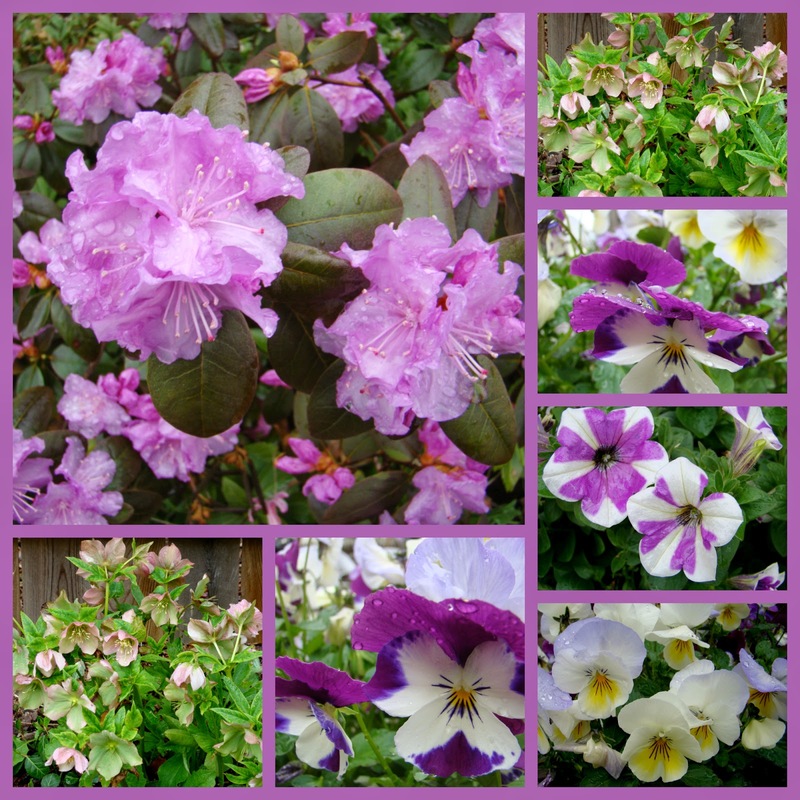 I have a lot of pinks and purples blooming right now! At our camp, we have lovely wildflowers blooming. We took mom to dinner at our favorite inn for Mother's Day eve. Joe cooked for me and our sons on Mother's Day. 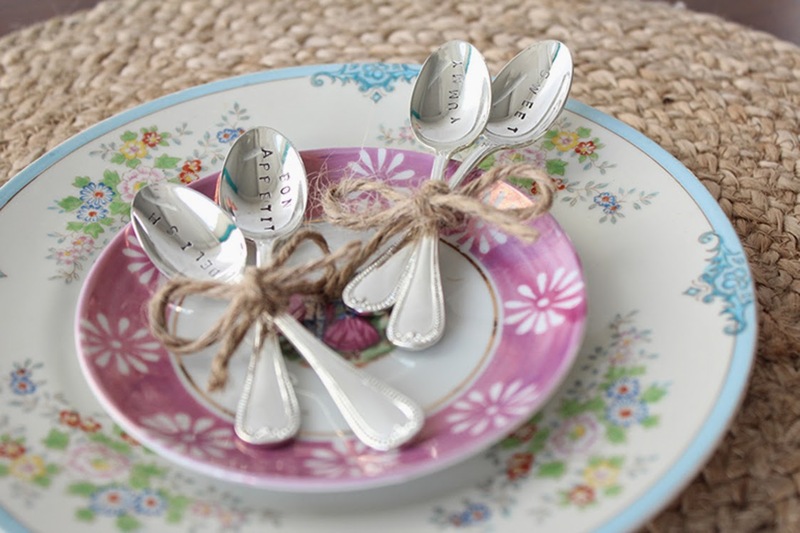 I spotted these darling stamped spoons on a Website. They would also be nice as garden markers. Pancakes. The kids will love them too. Prepare cake mix according to the directions on the box. Once cake is mixed add in 1 TB. of sprinkles. Stir until combined. Heat a skillet/griddle and coat with butter, margarine or non-stick spray. Ladle the batter onto the heated griddle. Cook 2-3 minutes until bubbles start to form on top. Flip and cook an additional 2-3 mins. Once all the pancakes are complete get ready to frost. Remove cover and foil protector from your can of frosting and pop in the microwave to make pourable. Heat in 20 second intervals. When the frosting is ready to pour, start stacking the pancakes, drizzling each layer with frosting and sprinkles. 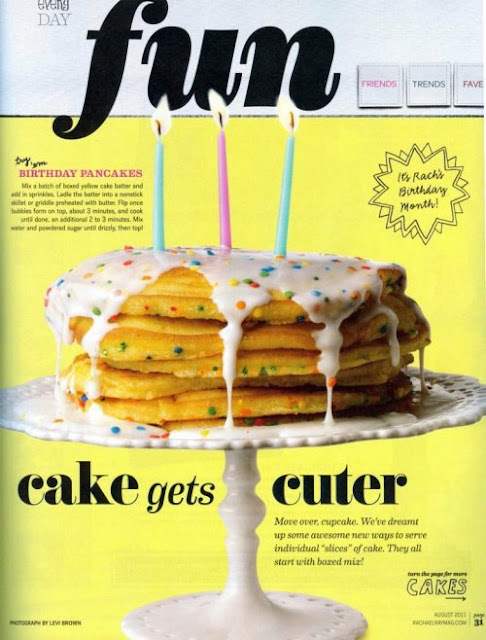 Cover the top pancake with frosting and finish with sprinkles. I made something similar but I colored each cake a different color - it was really cute! Debbie, stopping by to wish you a special Mother's Day! How nice that you have your mom there near by. I know your mother must be so thankful that her loving daughter generously and happily cares for her needs. Happy Mother's Day! Beautiful flowers and those pancakes look so yum! I bought a metal stamping set a long time ago because I think its so neat, but I've never used them. Your spoons are so cute. I look forward to making those pancakes for sleepovers with my grandchildren. When I read the title I thought you made honey! Hope you had a great day, and God bless your Mom! Sounds like a perfect Mother's Day, Debbie! I love those beautiful wildflowers. Your pinks and purples are so pretty.